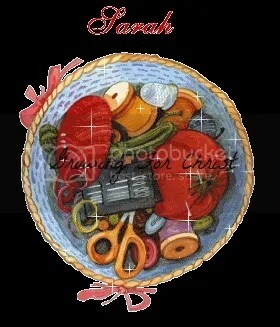 The late Kara Tippetts was the author of “The Hardest Peace” and blogged faithfully at Mundane Faithfulness. Cancer was only a part of Kara’s story. Her real fight was to truly live while facing a crushing reality. Since her death in March 2015, her husband, Jason, is parenting their four children and leading the church they founded in Colorado Springs, Colorado. Connect with Jill on her website, Twitter, Facebook, and Instagram. Just. Show. Up. How does one do that with a loved one when they are going through a “hard”, as Kara calls it in her other book, The Hardest Peace. Showing up means your life is going to get messy and most of us don’t like messy, we like order, cleanliness, emotions that can be easily hidden – showing up is going to mean not having order, getting messy with someone’s life and raw emotions that can’t be hidden. 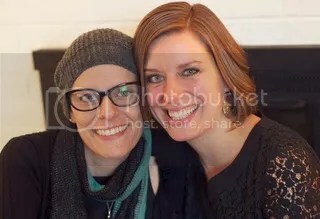 Kara passed away in March, just a few months after I lost my husband, suddenly, unexpectedly in December of 2014 – I became a widow and her husband, a widower. The emotions in this book – both from the viewpoint of Jill, one of Kara’s friends and Kara herself are raw, real and honest. Maybe it wasn’t the best book for me to read right now – but I did – and it left me thinking of how I too can show up for someone. For the first month the children and I had people coming by, we had meals, financial donations and then it went away – our hard is still hard and it’s something that won’t go away. So much has resonated with me in this book – even now we get asked “let me know if you need anything”, this is one of the worst thing to say to someone – whether it’s an illness, a death, or an injury – I can honestly say when I was told this I’d stare blankly back. I could barely think about what needed done for my children let alone what a friend could do – as Jill says this is easily dismissed by the person going through their hard because it’s too broad. Then there was this one (location 1190 Chapter 6 in my Kindle version) “Some people who have lost loved ones quickly – without a word, kiss, hug, or shared last moment would give anything for these days we’re having with Kara even though they are hard.” I think Jill crawled inside my head – I admit to thinking that when I heard of Kara’s passing – thinking well at least her friends, her children, her husband got to hold her, kiss her as she was ushered before the Lord. 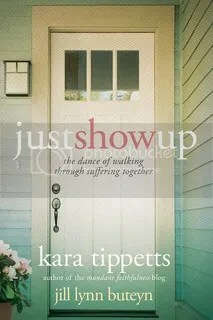 Whether you’re going through hard or just want to know how to show up for someone close to you or not close to you (Jill met Kara shortly before the cancer so it was a very new friendship) this book will give you and honest look at what it means to show up. If it’s not your gift to bring dinners, don’t – find your gift, is it to just sit quietly, just sit and listen, help car pool children to and from activities? Your showing up isn’t going to be the same as mine or anyone else, that is why the Lord gave us all different gifts. It’s raw – there were several times I had to stop reading because of the emotions that came up – and even some bitterness which made me look at myself because my friends couldn’t come around for months and months – so it had me taking a long hard look at me. The reflection questions at the end of each chapter can help evaluate how to show up and what that will look like for us and it’s based on Scripture, which makes it even better. I cannot recommend this book enough and it’s a quick read but so worth reading through a couple of times. To read what other bloggers thought please visit the Litfuse Landing Page.